If tuning into radio stations or listening to your favourite playlist while you’re driving is all you want, any basic stereo will do. You can just plug in your mobile phone, select the playlist and go. But what if you want more? 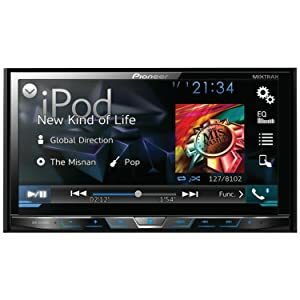 If you want to be able to make and receive calls, stream music through apps such as Pandora, watch videos through apps such as YouTube or navigate and be able to do all of this by interacting directly with the stereo using a touch screen interface, you need a Double DIN stereo unit – something like the Pioneer AVH-X4700BS stereo receiver. 2. What Pioneer AVH-X4700BS can work for you? The Pioneer AVH X4700BS comes with plenty of interesting features, but one of the main attractions is that it doubles up as a CD/DVD player – a feature not present on other Double DIN stereo receivers. To access the player, all you have to do is press the button and the face falls forward to give you access. The display allows you to view photos and videos comfortably. It also displays the album art from whatever music you stream. The wireless Bluetooth technology ensures that you can use voice commands. If you have the iPhone 4s and higher, you can utilize the Siri Eyes Free feature. The voice prompts will play through the speakers of your car and there is an external microphone that will take in your voice commands to allow you to make calls, select your music, check reminders and text messages and see your calendar information. The device can play MP3, MP4, DivX and WMA formats. You can either stream music, through apps such as Pandora or videos through YouTube or you can download music from your phone or tablet using the USB extension, which connects at the back of the device. The receiver is also compatible with Mixtrax – a technology that plays the music from your Android phone, iPhone or iPod with added sound effects and non-stop play, basically like your very own DJ. You can use apps such as AppRadio or AppRadio Live to access the apps on your phone. This comes in especially handy when you need navigation tools. In addition to iPhones and some Android devices, smartphones that have MirrorLink technology can also be connected to the receiver so you can play your music, make calls or navigate hands-free. The best part for those who like to play around and colour-coordinate stuff is that the colours of the screen and buttons can be changed to your preferences. You can even set up backgrounds and wallpapers that you like. 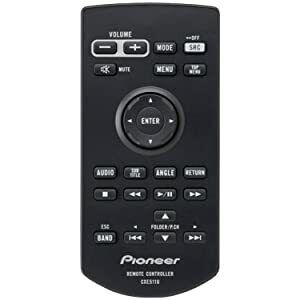 • The remote control doesn’t control the on-screen icons unless you use the DVD player. The concerns notwithstanding, the Pioneer AVH-X4700BS is perfect for those people of discernment who demand more from their stereo receivers than just basic functions. At a fairly reasonable price, this system is perfect for occasions such as family outings or annoying circumstances, such as a long commute or being stuck in traffic or, worse yet, both. If you are DIY fanatic you can install it yourself, but if not it is advisable to have a professional install it so you can enjoy its features to the fullest. Previous Post #5 Best Double DIN Head Unit (NEW 2017) Next Post How To Wire A Head Unit?